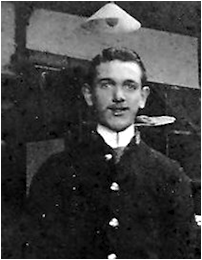 William George Goodey was born in Great Baddow, and by 1901 was working as a postman. He married in Chelmsford in May 1906 and had a son. He joined the army in December 1915, and a year later arrived in what is now Iraq. He was killed by influenza in November 1918. His home was in Grove Road. William was aged 39 and had served for two years and 338 days. He was subsequently reburied at Baghdad (North Gate) War Cemetery in Iraq (grave: V. A. 9). William’s widow was awarded a pension of 20 shillings and five pence per week for herself and one child with effect from 26th May 1919. On 29th December 1919 the Army wrote to William’s widow returning his personal effects to her - they included: “disc, 2 wallets, gold ring, silver locket, pocket book, photos, Postman’s Federation Card, Religious Book, card, badge, key”. In April 1920 she signed a receipt for his memorial scroll and on 24th September 1921 receipt of the Victory and British War medals was acknowledged. William’s mother died at 8 Regina Road on 21st August 1921. She was aged 62. William is commemorated on the Civic Centre Memorial, Chelmsford, and the Moulsham Parish Memorial, St John’s Church, Moulsham. The 1918 register of electors listed an absent William, and his widow at 15 Grove Road. She married Walter Bacon and died on 28th April 1956. Her son died on 13th November 1959. William Goodey was born in Great Baddow on 4th May 1881 and baptised there at St. Mary’s Church on 24 July 1881, the son of William Goodey and Elizabeth Goodey (nee Mason). At the time of the christening William’s father was a coachman of Great Baddow. The census earlier that year showed the family at Church Chase, Great Baddow. William’s father had been born in Mountnessing in 1843; his mother at Northampton, Northamptonshire in 1842. 1875. At the time his father was a 32 year-old groom living at Mountnessing; his bride was also aged 32, and resident in Northampton. Four years earlier the census had recorded them working as servants for Charles Vickerman at Toby Priory, Mountnessing. William’s siblings (all born at Great Baddow) included Thomas Goodey (1877-1891), Emma Gertrude Goodey (1879-1918) and Arthur Clifford Goodey (1885-1942). The 1891 census found nine year-old William living with his parents and three siblings at The Chase, Great Baddow. His father was a domestic coachman, his eldest brother an occasional houseboy. In 1901 the census found 19 year-old William living with his widowed mother, brother Arthur and a boarder at 8 Regina Road, Chelmsford. William was a postman, his brother a butcher’s cashier. He had been employed as a postman since earlier that year. Aged 25, William married 22 year-old Jessie Rolf at St Mary’s Church, Chelmsford (today’s Cathedral) on 16th May 1906. At the time he was a postman of 8 Regina Road. His bride, the daughter of a farm bailiff, also resided at the same address. 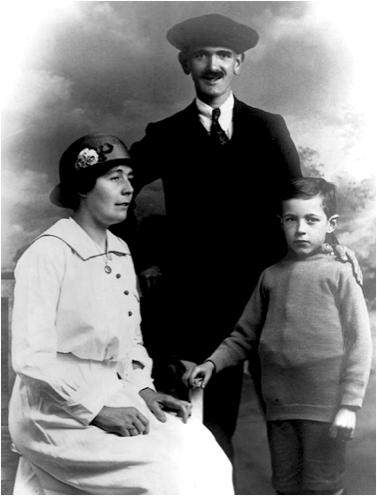 The couple had one child, Reginald Rolf Goodey who was born on 10th March 1908. 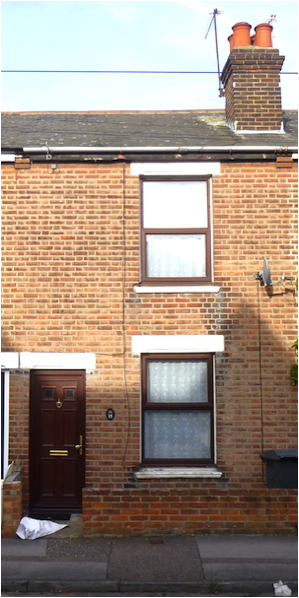 Just over three years later the 1911 census found William, his wife, son and brother Alfred together at 15 Grove Road in Chelmsford (pictured). 29 year-old William was a postman. His brother was a builder’s clerk. William attested for short service with the Army at Chelmsford on 2nd December 1915. He was aged 34 years and six months. At the time he was living at 15 Grove Road,, was married and was a postman without any previous military service. He was five feet six and a half inches tall, weighed 120 pounds with a 34 inch chest that expanded by two and a half inches, and good physical development. The 2nd Battalion of the Queen's Own was in India at the outbreak of the war and went to Iraq as part of the Mesopotamian Expeditionary Force and had arrived in Basra, Iraq on 6th February 1915. 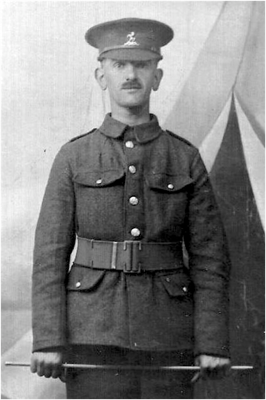 After a period at the Base Depot William joined his battalion on 15th January 1917. During 1917 he was ill on a couple of occasions; September 1917 saw him admitted to a field hospital having suffered from the effects of heat. William did not rejoin his unit until the following month. In January 1918 he was punished for the offence of ‘Washing in the Company lines contrary to orders”. In June 1918 he went on leave to India. He began his return trip from Bombay on 25th August 1918 and arrived in Basra on 1st September 1918. “I have to inform you that No. 15983 Pte. Goodey of 2nd Royal West Kents was admitted to this casualty clearing station on the 4th November 1918 about 12 noon suffering from influenza. He was in a very weak condition. He was suffering from paralysis of both legs. He was carefully attended to. [Illegible] were given. At about 3 p.m. the same afternoon he suddenly grew much worse and died of heart failure. He was conscious up to the end, and was able to ask for anything he wanted. He died from the effects of influenza contracted in field services in Mesopotamia. He was buried in the British Cemetery at Tekrit by the Protestant Chaplin attached to his unit." He was placed on the army reserve the next day. He was mobilised on 7th June 1916 and posted two days later when his attestation was formally approved at Warley. He was posted to the 2nd Battalion of the Queen's Own (Royal West Kent Regiment) on 8th October 1916, set sail from Devonport and arrived in Basra Iraq on 2nd December 1916.